In this chapter, Jacob Udo-Udo Jacob offers a much-needed discussion of the libertarian construct upon which conventional journalism is built and the need for an ethical makeover of journalism practice, particularly in crises societies and areas of limited statehood. Drawn on reflections during a peace journalism workshop with Nigerian journalists covering the Boko Haram insurgency, the chapter advocates for a peace journalism practice that has humanitarian utility and is grounded in communitarian ethics. Jacob argues that journalism, in whatever form it takes, should aim to serve the common, local good. 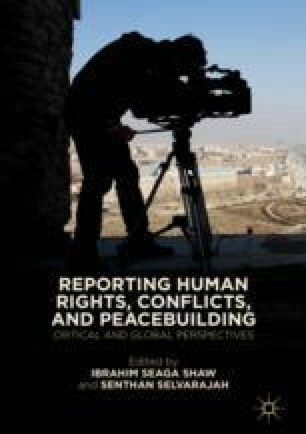 The author gratefully acknowledges the generous financial support of the Public Affairs Section of the US Embassy in Nigeria for the Peace Journalists Network and workshops. Some parts of this chapter have been included in the author’s project report to the US Embassy, Abuja.